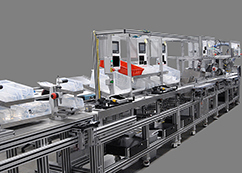 When choosing an assembly system your budget and volumes largely dictate which type will work best for you. At INVOTEC, we recommend our customers complete a return on investment calculation first to determine the balance between cost and features for them and their assembly system. This will lead them towards a solution that meets their budgetary needs over the life of the machine as well as their manufacturing goals for the product.